I’m getting a little bit closer on my quest to find a puppy. I hope to be able to bring one home mid-to-late March, but we’ll see what God does. Thanks for your prayers. I’ll post a picture of her (or him) when it happens. I’m going to answer two questions today, well actually one question and one suggestion. A reader wrote me and asked me to develop a system on my website for vetting counselors who specialize in abuse so that if a person needs one, he or she might be able to find one in their own local area. The answer to that is I do have a referral list on my website of counselors that Chris Moles and I have personally trained over the past two to three years, but it’s hardly enough to cover every part of the US and Canada. If you know of an exceptionally good counselor that you have worked with in this area, please make them aware of my EQUIP group, so that we can vet them and add them to the list. A counselor referral list would be a great asset for those of you looking for more one-on-one help but finding the right counselor who understands abuse is the huge challenge. That’s why I have a team of coaches that Chris Moles and I have trained so that we can help you long distance with competent care. This week’s question:How does one recover from spiritual abuse in the church and have a healthy relationship with God? Answer: I thought this was a timely question because abuse doesn’t just happen in the home, it happens in some churches. Fundamentally all abuse stems from misuse or abuse of one’s power in order to gain control over an individual, group, organization, or country. There are a lot of ways one does this. For example you can scare someone into complying with you by threatening him or her with physical harm. Or you can actually do physical harm to someone which makes him or her scared to challenge you or disagree with you. Most people who brainwash…use methods similar to those of prison guards, who recognize that physical control is never easily accomplished without the cooperation of the prisoner. The most effective way to gain that cooperation is through subversive manipulation of the mind and feelings of the victim, who then becomes a psychological, as well as a physical prisoner. This is what happens in a spiritually oppressive and abusive church. They use God and the Bible to bully, threaten, intimidate, scare, shame, guilt-trip, manipulate, and brainwash their congregants into compliance and submission. They want control over them so that the people in their congregation will do what they want or what they define as what “God wants.” We see this occur in all different religions and denominations and it is especially obvious in cults. The saddest part about spiritual abuse is that Jesus called his church to reflect God’s heart and character to lost and hurting people. That’s why Jesus was so unpopular with the religious leaders of his day. They had no idea what God was really like but they tried to control people by legalistically requiring adherence to their Jewish system of laws. Jesus tried to show them a different way but they wouldn’t listen and became so threatened by him that they killed him. The Bible tells us that Jesus showed us what God was like so that there would be no confusion (Read John 1). The Bible also says that Jesus perfectly and exactly represented God’s nature (Hebrews 1:3). The apostle Paul exhorts the church in Ephesians when he says, “Be imitators of God and live a life of love” (Ephesians 5:1). And in one of the oldest books of the Old Testament, Job describes the character of our God this way. It says, “He rescues the poor from the cutting words of the strong and rescues them from the clutches of the powerful. And so at last the poor have hope and the snapping jaws of the wicked are shut” (Job 5, 15,16). However, when you are raised or attend a spiritually oppressive/abusive church, your picture of God becomes distorted and therefore your relationship with him becomes damaged. This is not your fault. This is the fault of the church that has failed to show you who God is and what He is like. But your question is how do you heal from all of this? You’ve already taken the first two steps. The first step is to leave your oppressor whenever possible. You’ve done that. You’re out of that church. You’ve recognized it for what it was, oppressive and abusive and you left. The second step is to recognize your need for healing. I hear you want to start this new phase of healing. I sense your desire for a new relationship with the true God of the Bible, the God who says that he is the God of love, not fear and remember, He tells that His perfect love casts out fear (1 John 4:18). This is good news because you and I don’t even desire God unless He draws us to him. The Bible teaches us that Jesus came to seek and save lost people (Luke 19:10). But who are the lost? All of us. The word lost in the original language of the Bible means more than being disoriented or unable to find one’s way home. To be lost Biblically means to be ruined or destroyed. To be lost means to be desperate for help and that’s exactly who Jesus came to help, to rescue and to save. God knows what you’ve been through. He’s drawing you into a new and healthy relationship with Him. He knows that you’ve believed lies about who He is. It’s the oldest trick Satan uses to keep us from loving and trusting God. Remember in Genesis, Satan maligned God’s goodness and his character to Adam and Eve. Even though they had known Him and walked in that beautiful, perfect, peaceful setting with Him, Satan was able to trick Eve and brainwash her with lies. We are all vulnerable to lies and that’s why it’s so important to renew our mind again and again with the truth. So, friend, I’d encourage you to be patient with yourself. You are on the right track. Trust that God is patient with you too. As you get to know who He is, you will fall in love, not with a dictator, but with a loving God who tenderly cares for you. One of the problems all of us struggle with is that we believe IN God but our hearts struggle to actually believe Him. To believe what he tells us. That He loves us. That we are precious to Him. That He wants our best. That He has a plan for our life. That he’s adopted us into his family. That we are fully forgiven. Don’t beat yourself up if you struggle with doubt or unbelief. You’re like everyone else who says, “I do believe but help my unbelief” (Mark 9:24). But own it. Ask God to help you to believe Him above all the other voices in your head and in the world. And as you practice this, you will grow stronger and more secure in your awareness and knowledge of who God is and how much He loves you. Friends, share how you found healing with God after spiritual oppression and/or abuse? Thank you for posting this Leslie. It is so difficult to find healing when you have been involved in a legalistic or abusive church. One of the ways I found healing was first and foremost by finding the courage to leave a small church that was quite legalistic. It took me six months of prayer before I found the courage to listen to the Lord and to walk away. I tried to leave as best I could without causing hurt or damage to the pastor or any of the people at the church. I have no assurance I succeeded. However, I do have the assurance that I did the right thing. After visiting other churches, which surprisingly was not an easy thing to do in the remote rural area I lived in, one Sunday I found a church in another community some distance away where the love for the Lord and the kindness and caring manners of the members completely overwhelmed me. I had no idea it was possible for such a church to exist. Healing for me came through establishing new relationships with the people the church who kindly invited me out for coffee; who invited me to participate in church activities, and who just loved me as I was, that being, one of God’s precious but hurting children. It was a surprise to experience a church where members loved the Lord and reached out to others with that love. The Pastor was a wise preacher, teacher, and leader who taught the congregation about God’s love for each one of us. I had never heard gentle teaching like that before. And yes, sometimes love is tough. But it is never hurtful or mean-spirited. I am thankful God led to leave a church that professed to know him, but that no idea how to love him. I grieve for that church. They need God’s love. I want to share an interesting book that I recently came across. The Lord gives us resources to help think through difficult issues and experiences as we are ready to receive them. I was ready to receive this book because many of the teachings it examines showed me some of the misconceptions about God that I had believed. Healing started with understanding. The title of the book is The Skeletons in God’s Closet, by Joshua Ryan Butler. 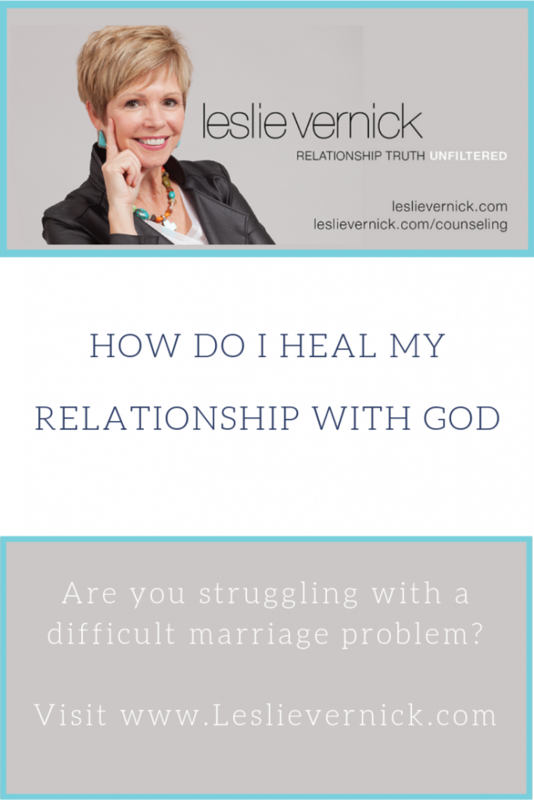 It doesn’t deal with the issue of abusive or hurtful church relations or even healing. But what it did was challenge me to think through what I believed and why I believed the things I did about God. There are many books like this and I know that. But this book dealt with many of the topics that I had been having issues with as they were taught by the church I left. The book emphasizes God’s love in all the scripture passages it examines, especially in the difficult passages that seem to show God as being harsh and unloving in his dealings with mankind. God is not harsh and unloving. My healing came slowly but surely as I started to understand God’s love, and how to respond to him and to others with his loving, caring kindness. I’m still learning! Annie, thank you for such an encouraging letter. Surely, finding a loving congregation was an important part of your healing. That made it possible for you to see the love of God in action, not just read about it. Our God is love, and He manifests that love through His people. Thank you for clarifying in this post the definition of spiritual abuse in a church. The most confusing issue for me is when your husband is the pastor and you are required to attend church as the pastor’s wife. My story is a long one, but briefly, I have walked through emotional and spiritual abuse with my husband which came to a climax 10 years ago. We separated for a short season and then we received loads of counseling both separately and together with a few intensive retreats thrown in as well. Things were better for a season. I’ve gotten stronger and have shed my co-dependency. As I’ve gotten healthier things have escalated and now have determined I can no longer call our church my home. It is oppressive and it has been hard to attend. We’ve had scores of staff and people leave through the past several years as the church has morphed more into a culture of control. Of course, it doesn’t appear that way on the outside which is confusing for some. I know this is not God’s way and it saddens me to watch. I’ve tried to engage several times to try to be involved again, but any word of question or challenge is seen as speaking against the leadership. I have leadership gifts (teaching, writing, and leading) and at one time was on the staff as well. Now I am made to feel like I am leaving a bad testimony because I won’t comply with supporting my husband faulty belief system 100%. I’ve been labeled as not submissive, rebellious and the like. I’ve been asked to prove from scripture my behavior in not getting involved but just attending. Thank you for giving courage to those of us in these kinds of situations. I so desperately want to do the right thing and am praying that God will give me his incredible wisdom to navigate this hard journey. I felt more abused my marriage counseling at my church but I honestly dont think they intended to make matters worse. Over 10 years ago I went to one sweet lady who really helped me see how I was in control of my own responses. and the Lord grew me greatly under her counsel. However later They used all the same scriptures they would use in ‘difficult’ marriages not understanding they were dealing with an emotional abusive marriage when we went to counseling together. I found myself getting angry every week after a session and realized it was because they kept asking what I could do differently so that my husband could respond better. After reading a booklet by Brad Hambrick *the Self-centered spouse – I realized that it didnt matter what I did or didnt do, my husband was lashing out at the closest to his own built cage even though he has the key inside him to get out of it, but refuses to do so. I am thankful they gently pushed me to explain why I was shutting down in the counseling. When I explained that every week I left feeling like I have to be perfect to not have him blow up at me and yet he leaves and does NOTHING with what is said… At that point they were firm with H and told him that the focus of that booklet was his behavior. After that week H was angrier than normal, nearly everytime I spoke he would say ‘see you are self-centered too’ or some such nonsense. He was hell-bent on proving he wasnt the only issue. Which I have never said, I am fully aware that my own abusive childhood left me dealing wrongly with hurts and such, but the Lord has been so gracious to keep teaching me and showing me where to change…I am still no where near perfect but I am not chronically self-centered…selfish at times? yes. Anyhow, after those weeks of H blowing up I told the counselor I wasnt going to go back because of H’s attitude and counseling together was making things worse. I went twice alone to explain my position and what the Lord was having me work on, and then H went for 1 month and they ‘finished’ counseling…sigh. that was a few years ago and we are still having issues because he has yet to deal with his insecurities, family of origin hurts, etc. but continues to blame me for his anger, for feeling unappreciated, etc. I was recently counselled by my church to learn to live a persecuted life…how sad is that? Is that what God wants for my marriage? I dont plan on leaving, I plan on staying well, though I am learning to call out sin for what it is, learning to have healthy boundaries but it is so much harder now that H’s wrong thinking has been reinforced by the church. I havent been to the church in months, I love the people who have helped me through even if they dont have a good understanding of emotionally abusive situations but it is exhausting to go and avoid certain people because in trying to be supportive it just heaps more hurt. I have a wonderful counselor outside the church, who is a christian but has a great understanding of the abuse I have lived with all my life. Since following Leslie’s blog and facebook, as well as my counseling I am starting to feel stronger, however my sanity comes and goes, some days I feel like I am making a bigger deal of it than it should be, but then I listen to Leslie, or a patrick doyle video and am reminded that I am not. I can see how the church doesnt intend to harm more but they are not trained to see the nuances, especially for emotional abusive situations. They are doing what they do, looking to the typical scriptures that help marriages that are some what skewed but not broken/abusive. I am thankful for what you do to help churches learn. I’m in the middle of a horrible church situation right now. I’m trying to get out, but that is harder than I thought. I’ve got kids in the mix, and I’m being totally scapegoated by the church leadership. I have avoided being at the church as much as possible, because I don’t want to run into certain people that are unsafe. Actually, when I drive into the parking lot, I feel like I’m going to vomit. Yup. It’s really that bad. I made the “mistake” of talking to a couple of my friends in the lobby a few weeks ago when we were all waiting for our kids to come out of the room. It was about a 5 min conversation, I was sad/ upset just to be in the building. We talked about my friends hockey player daughter. But this week the lead pastor met with me and reprimanded me for being “caught gossiping.” What on earth?! I feel like I can’t even say hi to my true friends without being spied upon and having total lies made up about me. It’s like they are paranoid because they can’t control me. I know that they are mad, because needed a break from volunteering a couple months ago and so I stopped. It’s like they are ritaliating against me now because I won’t perform for their demands. I’m trying to get out, but it’s tricky because I’m also currently on staff there. They have gone behind my back and removed me from some leadership duties without my knowledge or any conversation, I found out on facebook from another adult that I’d been replaced by a new leader. They didn’t even say one word to me at all. But they are freaking out if I say hello to anyone. This feels like keep your mouth shut, let us use you because we control you and you must obey us in the name of Jesus. If you don’t, you will be punished severely. Help. I don’t feel safe in church at all.